Samsung Galaxy S7 and S7 Edge units on Verizon started to receive Android Oreo. The Android 8.0 Update where rolled out on Korea, Sweden and UK couple of weeks backs, now it is available today in the US. 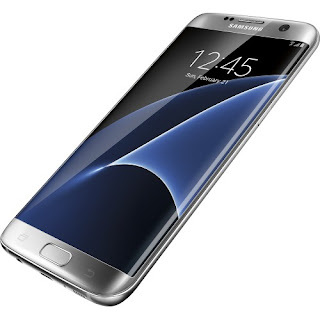 Samsung Galaxy S7 and S7 Edge are two new phones with nice Specifications and features. They all have Ore Update already, but this update is for S7 and Edge Units. Just the way there is Galaxy S4 and Samsung S4 Active. The Samsung Galaxy S7 Update carries the build number R16NW.G930VVRU4CRE5 while the S7 edge is R16NW.G935VVRU4CRE5. As you already know, Android OreO update comes with New UI Update, Autofill, picture-in-picture, Use 2 apps with just one tap, notification dots and Security updates. On the Samsung Galaxy phones units on Verizon, comes with high-contrast keyboard options and Dual Messenger. The update brings all the features from Android Oreo such as Autofill, picture-in-picture, notification dots and Samsung specific features such as Dual Messenger and high-contrast keyboard options. The update brings the April 2018 Android security patch which is already two months old. Verizon has left an Update about the Samsung Galaxy S7 and S7 Edge unit on their Support pages and it will take a couple of weeks before the Ore Update gets to other Devices via OTA (Over the Air). Verizon has already updated their support pages for the Samsung Galaxy S7 and S7 Edge. It will take a couple of days for the update to hit all the devices as the update will be rolled out in phases.